Currently on view at one of Chelsea’s blockbuster galleries, The Pace Gallery, is the first U.S. exhibition of Chinese artist Wang Guangle (b. 1976, Songxi, Fujian), featuring seven new works from his Untitled series, extensions of his earlier series, Coffin Paint (2004). Derived from the Fujian tradition of elders preparing their coffins with a fresh coat of lacquer each year before their death, Wang has appropriated the practice onto canvas by methodically applying layers of acrylic paint, creating an illusionistic gradation of tones and depth. 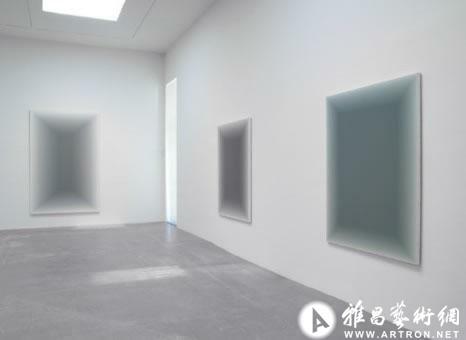 Dedicating virtually the entire gallery space to seven of these gems, Pace and Wang have created a meditative, sombre atmosphere that you must experience for yourself. Multimedia artist Hong Lei returns to Chambers Fine Art this summer with an installation inspired by Mi Lou, the legendary architectural folly of Emperor Yangdi (604-618). Enchanted by tales of lore, Hong reminds us of the hold the past has over our imagination as well as the great cultural and artistic achievements of China’s past. 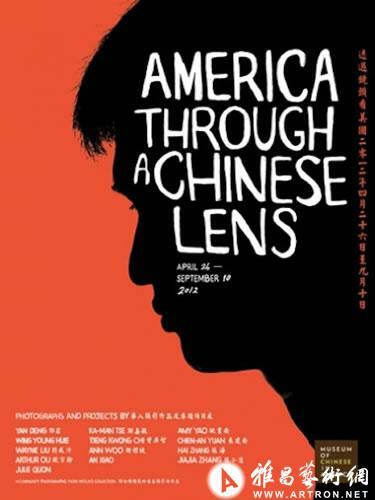 America through a Chinese Lens surveys photography of American life as shot by contemporary Chinese and Chinese-American artists, documentary photographers and non-professionals, identifying the specific ways in which the Chinese have used the camera to reflect their experience in the US. 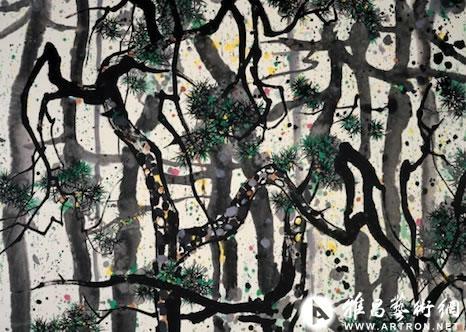 Wu Guanzhong (1919-2010) stands as one of the most important and revolutionary artists of twentieth-century China—a master of both oil and ink painting as well as a visionary writer on art and creativity. Asia Society is honored to be showcasing the best of Wu’s ink works from the mid-1970s to 2004, including some of his most notable landscapes, architectural paintings, and pure abstractions. The exhibition traces the development of Wu’s work with a focus on the rich historical legacy of ink painting in China and Wu’s radically formalist individual style that continues to challenge our expectations of ink and its exploitations. 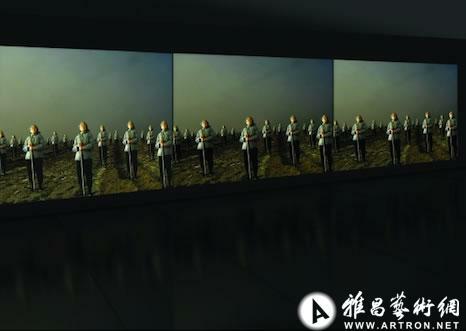 One of the first artists to create a site-specific video installation in China in the mid-90s, Wang Gongxin and his panoramic three-channel video installation, My Sun (2000), will be one of many spotlight features this summer at Asia Society. My Sun explores the rise of individualism in modern Chinese society, a theme in tandem with Wang’s greater preoccupations with social and cultural clichés and misconceptions. This September, Asia Society Museum’s most anticipated event will be Lin Tianmiao’s (b. 1961, Shanxi Province, China) first major U.S. solo exhibition, featuring a textile-rich collection of installations and sculpture. 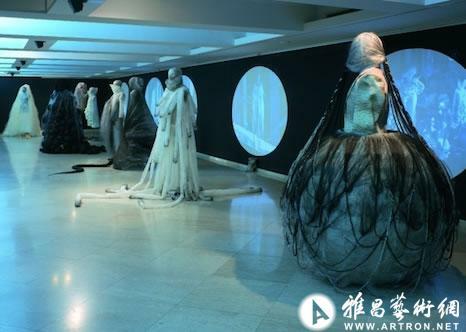 Surveying the past 20 years of the artist’s career, this retrospective highlights the remarkably consistent focus on women’s issues that is subtly embodied in Lin’s work. The exhibition will fill Asia Society’s entire museum space with several new installations and many works never-before-seen outside of China.